Event Management PowerPoint templates, backgrounds Presentation slides, PPT Themes and Graphics. Create the perfect Event Management PowerPoint presentation by downloading and using these PowerPoint templates. Manage you projects on various events be it on conferences, formal parties, concerts or festivities. Showcase your designs using our PPT templates and impress huge audience. Our event planning PowerPoint slide template designs make your co-ordination of events successful. Event management programs are now gaining fame in the corporate world. From smaller to bigger functions, organizations are now seeking for corporate event managers who can make an event successful. Implementing these innovative diagrams and designs, businesses can identify their targeted audience effectively. Conceptualize your events keeping all technical and non-technical aspects in mind. Are you in the business? Promote yourself and build business relationships in the market using our PowerPoint templates. Our sustainable event management PPT presentation templates are created for those who are concerned about nature incorporating social, environmental and economic issues. Manage your projects, cross check your budget. Our event management PowerPoint template designs are simple to read and edit. Customize these PPT slide templates that work best for your presentation. Our free download section avail event management PPT slide templates for free. 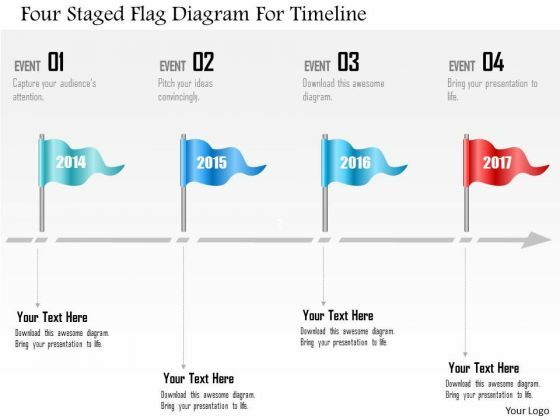 Download these stunning presentation templates and stay on right track in the entire event. Graphic of four staged flag diagram has been used to decorate this power point template diagram. This PPT diagram contains the concept of data flow and timeline formation. Use this PPT for marketing and business related presentations. 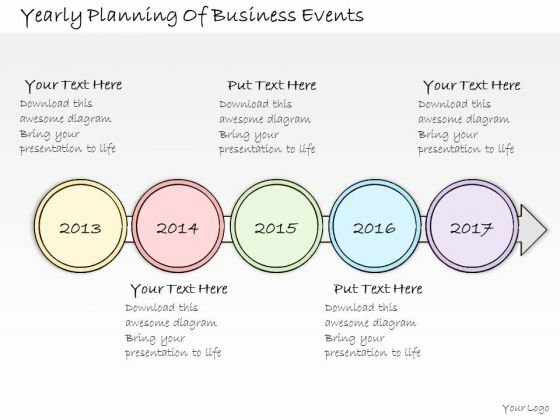 Use Our PPT Slide Yearly Planning Of Business Events Diagrams Powerpoint Templates As The Bit. Drill Your Thoughts Into Their Minds. Pop The Cork With Our Consulting Firms Powerpoint Templates. Let Your Audience Take In The Aroma Of Your Thoughts.